Ross Allen alongside Alyson Burchell and Sue Marshman from Tuckers Funeral and Bereavement Service. 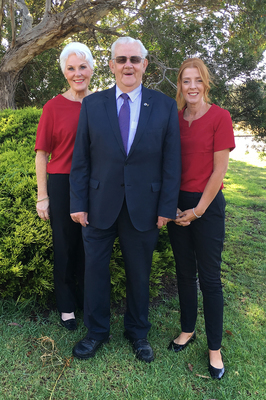 Pre-planning has become an important step in the retirement process and no one knows this more than funeral director Ross Allen from Tuckers Funeral and Bereavement Service who has passionately cared for the people of Geelong for more than 46 years. “The biggest change is how pre -planning funerals has evolved. In the early days, death was seldom talked about,“ Ross says. Ross, alongside Alyson Burchell and Sue Marshman from Tuckers Funeral and Bereavement Service guide people through the pre-planning process and agree that “Having these discussions helps you make informed choices and assures your wishes acknowledged. “Daily, we see how beneficial these conversations are for families. When death occurs, although a difficult time, it can be eased by knowing that the wishes of their loved one was organised and paid for,” Ross says.